In the fast-paced world of social media, careers can be made or broken in the blink of an eye—sometimes even the click of a button. The latter is the case with former Marriott social media employee Roy Jones, who has been fired by the company for liking a Jan. 9 tweet by a group called Friends of Tibet. The tweet praised Marriott for referring to Tibet as a sovereign country in a customer survey, which had listed Tibet, Hong Kong, Macau and Taiwan as separate countries rather than regions of China (China claims official sovereignty over those regions). 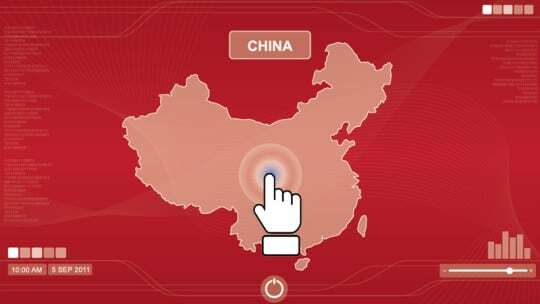 The error drew the ire of the Chinese government and its supporters on social media. China's reaction to Marriott's customer survey had immediate implications for the hotel chain's bottom line. Government officials forced Marriott to suspend its online booking services for one week in China, which is a growing market for the international company. And when Friends of Tibet's post won a like from the Marriott Rewards Twitter account a day later, the hotel brand once again found itself in hot water with China. Following the incident, Marriott took a zero-tolerance approach, choosing to fire Jones rather than issue a warning or take responsibility in a company statement. But although Jones' poorly timed click was likely accidental (he told The Wall Street Journal he reviewed 300 tweets per shift on average and "didn't recall" liking the tweet in question), Marriott's harsh response signals China's growing influence among global brands. Similarly, Mercedes-Benz apologized in February after an Instagram post quoting the Dalai Lama, Tibet's most famous spiritual leader, drew criticism from Chinese consumers. Global brands would do well to institute training for new social media recruits on the international markets they serve. Regular briefings on controversial topics within each country of operation or guidelines stating that employees stay educated in matters of international policy could also help to insulate brands from international crises—not to mention commercial losses such as Marriott's weeklong blackout on bookings.